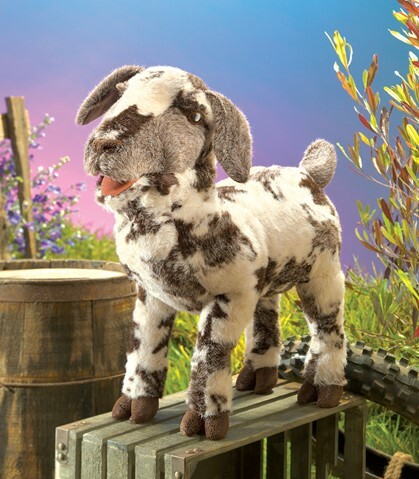 Folkmanis 3112 - Inspired by internet memes and viral videos, the Folkmanis SCREAMING GOAT will have you in stitches! The fun ensues as you animate the mouth while squeezing the body to initiate sound. Movable mouth, sound maker. Puppet measures 19� x 8" x 17�.